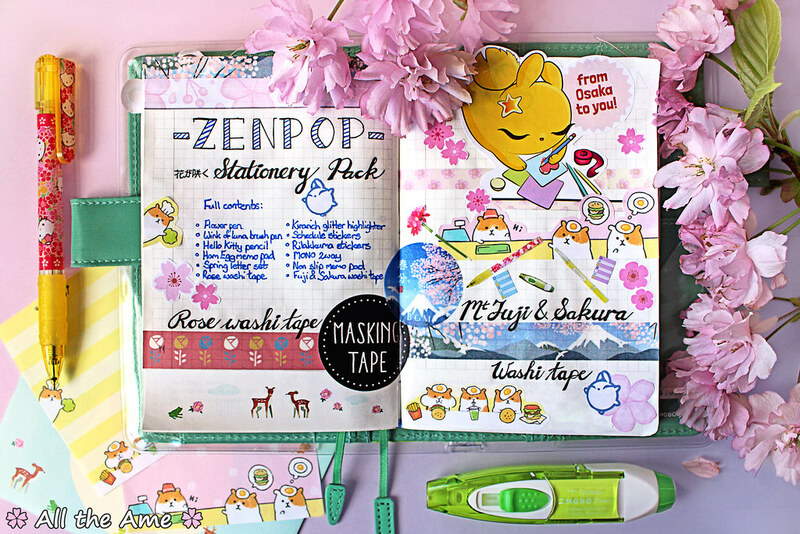 Today I am thrilled to be able to show you all yet another of Zenpop’s boxes, this time their popular stationery pack! I’ve been interested in this pack for a while but having never bought a stationery pack before, I just wasn’t sure. I’m not fussy about stationery exactly but I’m wary of getting things I don’t like or wouldn’t use and feeling like I’ve wasted my money. A lot more so than when it comes to snacks (because how often do I not like a snack?). Thankfully this pack didn’t leave me feeling like that at all, in fact I loved everything about it! 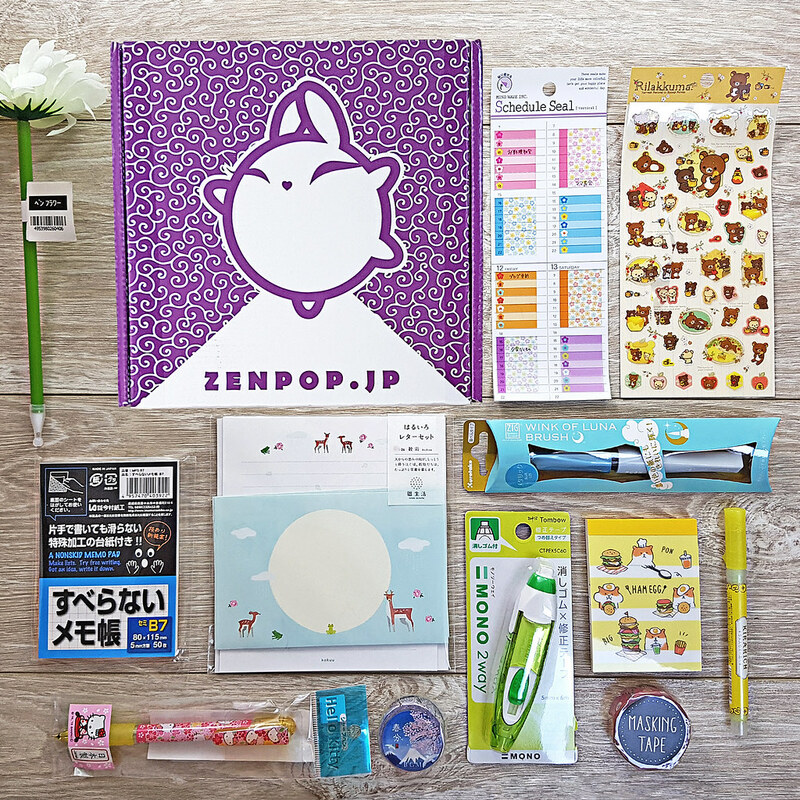 What is the Zenpop Stationery Pack? ‘Hana ga saku’ means ‘flowers are blooming’, this theme aims to celebrate the coming of spring with bright, light colours and sweet florals. I think it captures the feeling of spring really well! You guys are lucky I don’t make video reviews because no joke, when I opened the box I spent about 10 minutes looking through all the items alternating between admiring cuteness and yelling ‘it’s so useful!’ to my long suffering partner. He got the message; I love items that are useful, bonus points if they’re cute too! 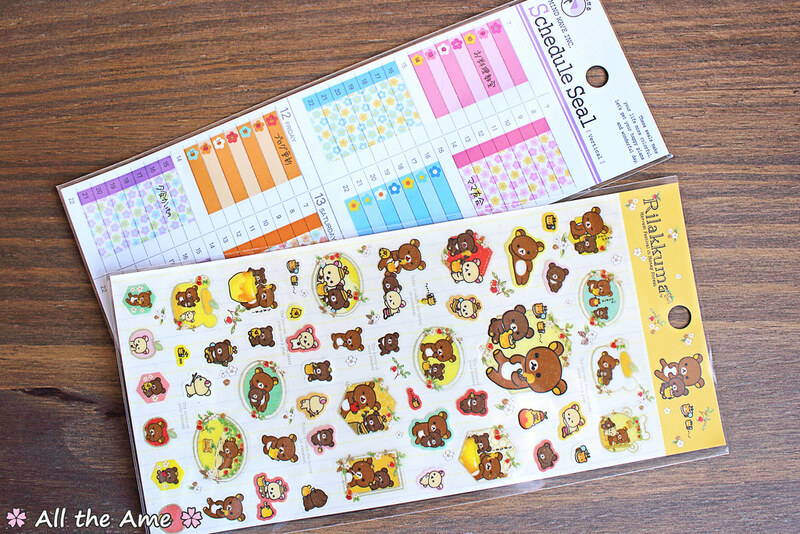 This pack isn’t available to purchase anymore*, to see the current stationery pack theme and subscription options click here. *a selection of past packs are available to buy directly from Zenmarket, this one is available there at the time of publishing but may no longer be when you are reading this. Click here if you want to check! The chunky size and textured rubber grip make the pencil very comfortable to use, it feels more like a pen than any other mechanical pencil I’ve used. It’s really smooth to sketch with and produces crisp, clean and fine lines. 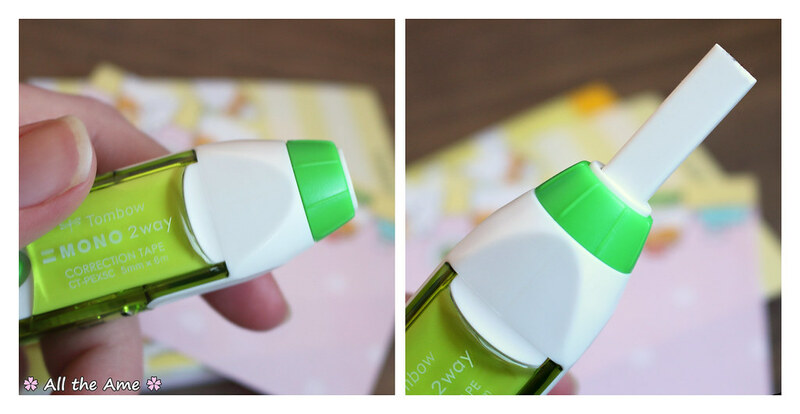 Doesn’t smudge, rubs out easily…really it’s everything I want/need from an everyday pencil. 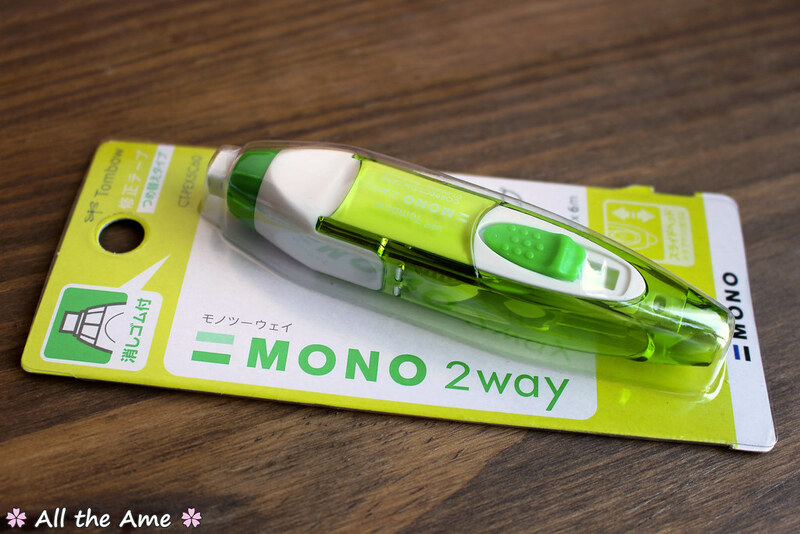 It’s so much more convenient to carry round than a wooden pencil as well, so this will get a lot of use for on the go doodling! Time for some shiny things! 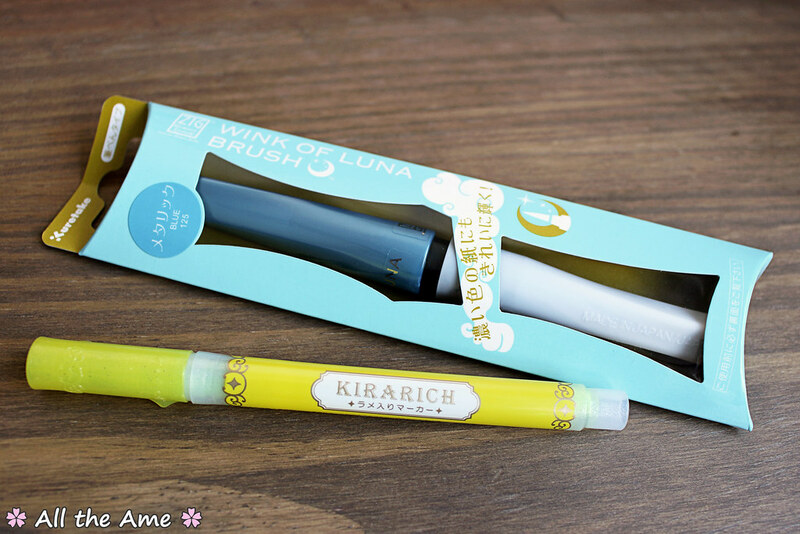 Both of these came in various colours, I got the ZIG Wink of Luna Brush Pen in metallic blue and the Kirarich Glitter Colour Highlighter in yellow. 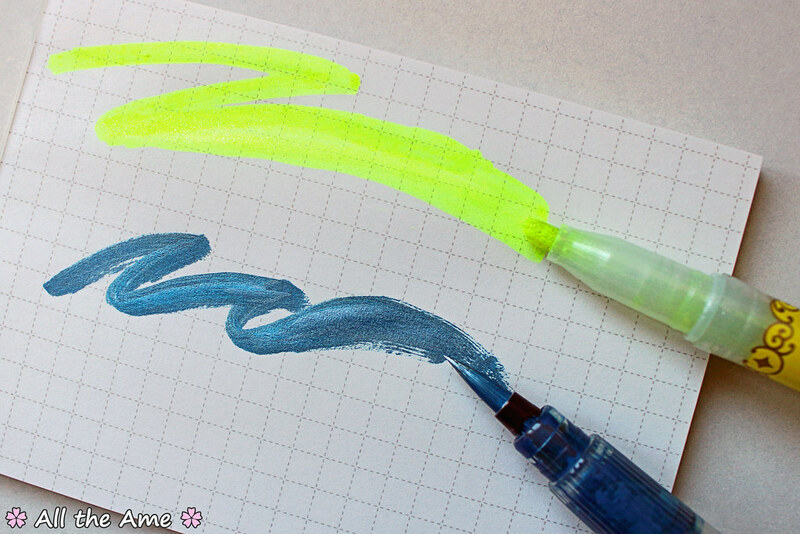 I’ve never used a brush pen before and highlighters are always useful, so I was excited to see both of these! The brush is very soft and takes some getting used to, but even as a complete beginner I could achieve a nice variety of thick and thin lines. 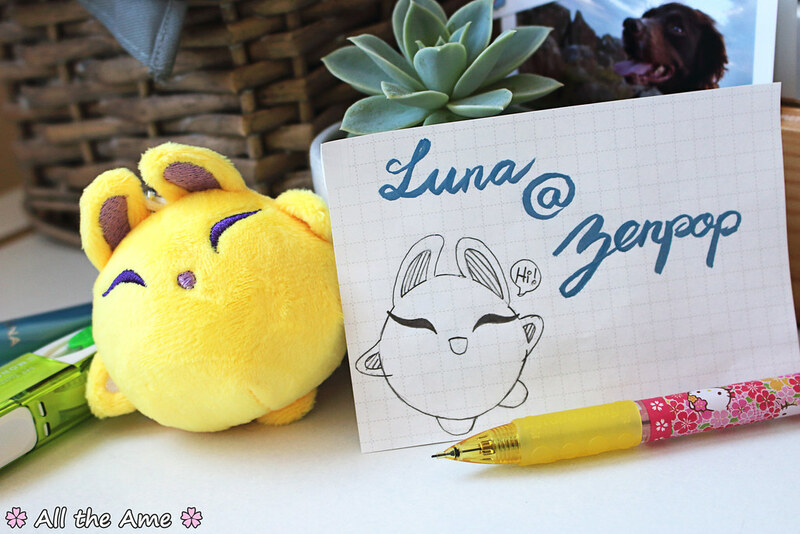 The ‘Luna @ Zenpop’ above was one of the first things I wrote using the brush pen (yes my hands are very shaky, shh), more capable hands could easily create some very beautiful lettering with this. 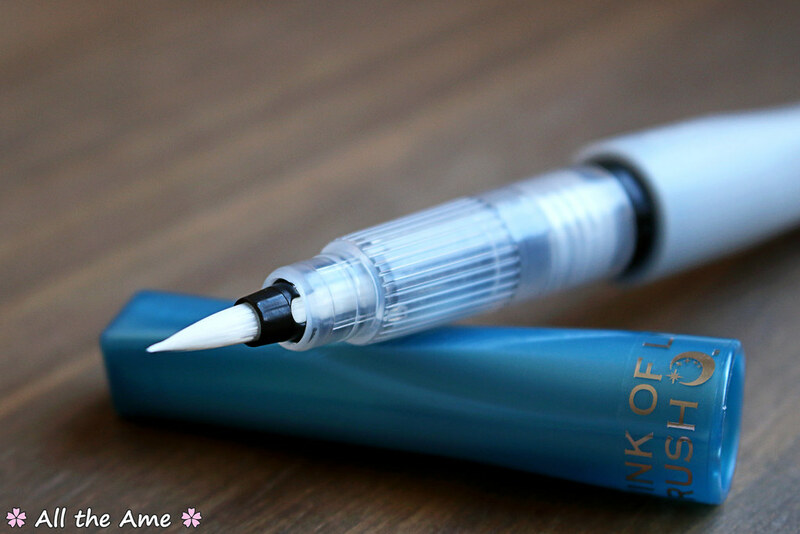 The ink is super thick, super pigmented and super shiny. It’s water based and of archival quality. All in all it’s a great quality brush pen, it’s fun to use and it’s and a fantastic way to add a metallic shine to your work, I’m going to practice more with it (and learn to squeeze gently!). Swatching these two wasn’t easy as they are both so shiny. 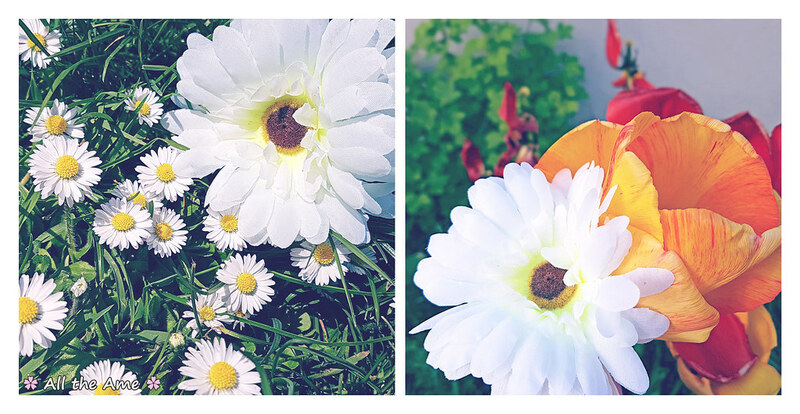 My photography skills were not on point. The highlighter is so bright I couldn’t pick up the glitter, oh dear. It’s very sparkly in person and a lot more eye catching than a standard highlighter, great for making really important things stand out. I’d love to get the other colours too someday! It erases pencil lines cleanly and because of the square shape, you can be quite precise with it. Great for pesky little mistakes! The tape fully covers both black and coloured ink (although you can still see the indent of what I wrote here, I did say I can’t write very well with ballpoints…). I’ve had no problems writing on top of the tape once it’s dry and it hasn’t peeled or flaked off yet. Just what I needed since I haven’t gotten around to buying one of those nifty Frixon erasable pens yet! 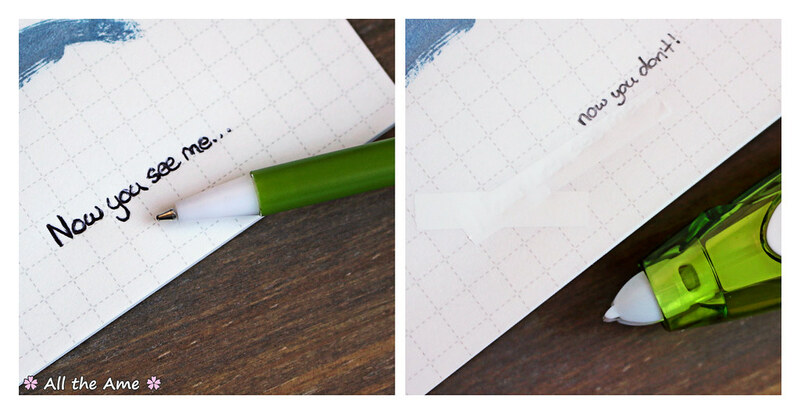 You can buy refills for both ends so this useful little tool is officially living with my planner forever. 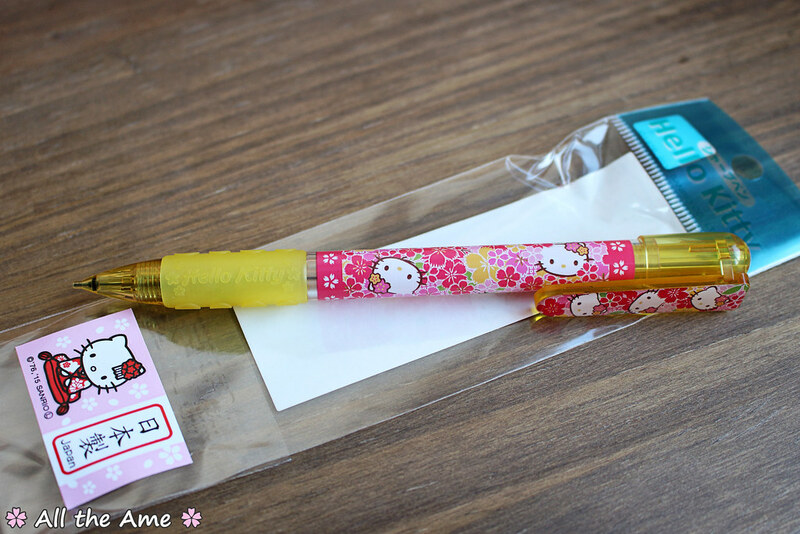 I love it so much and like the Hello Kitty pencil, it’s really convenient for travelling. Maybe Zenpop will include some refills in the months to come? 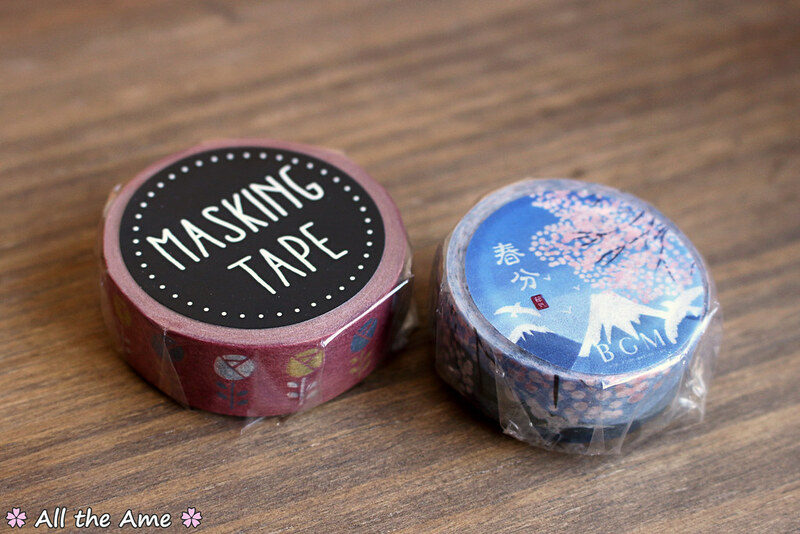 Moving on from writing implements, we have not one but two rolls of washi tape; on the left Rose Washi Tape and on the right Fuji & Sakura Washi Tape. The latter was one of the items I was most excited about from the box previews and I’m happy to say it’s even more beautiful in real life! Both tapes are great quality, they have a lovely clean design and bright colours. I’m not sure they match exactly but I think they work well together and they both look great in my planner. I’m seriously having to resist adding the Fuji one to every page, I love it so much! 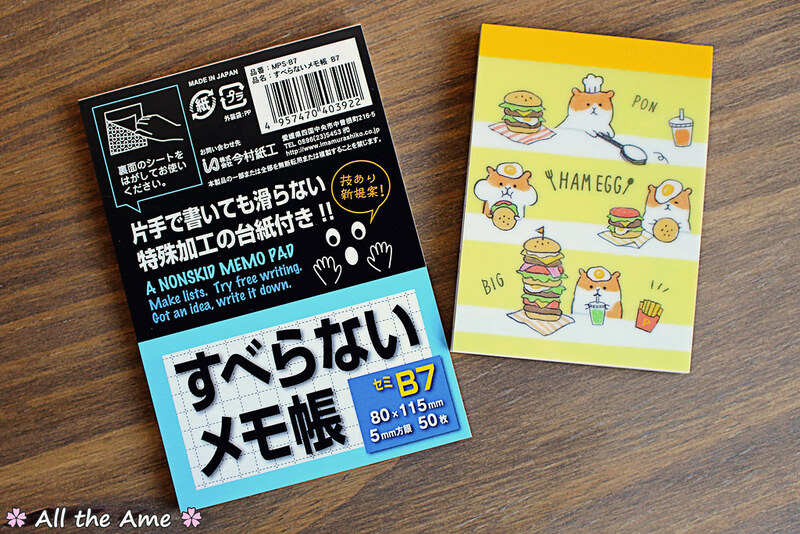 There are two memo pads this month; on the left is a B7 sized Non-Skid Memo Pad featuring (as the name implies) a fantastic non slip grip on the back of the pad. 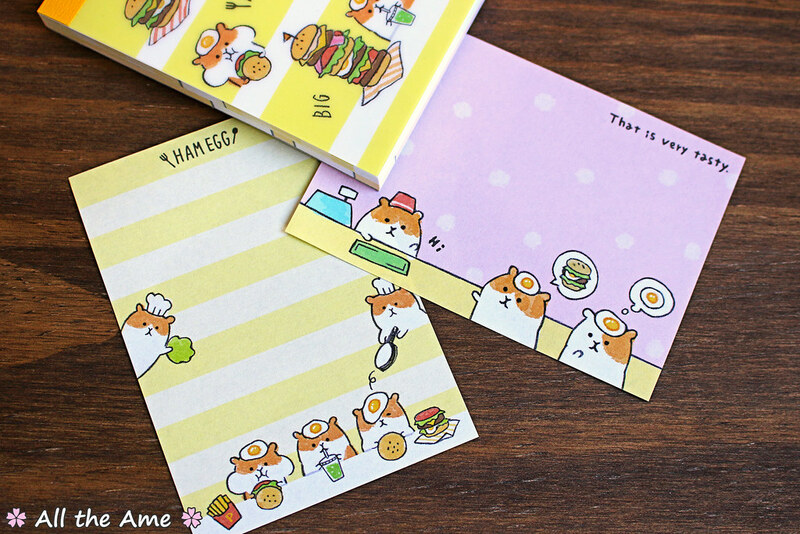 On the right is a smaller Ham Egg Hamburger Memo Block, featuring adorable hamsters with fried eggs on their heads. 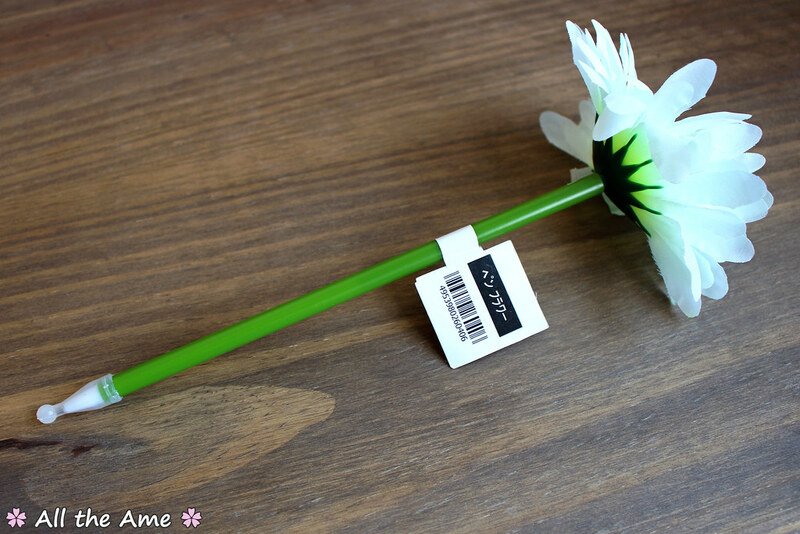 Japan; forever fulfilling my love of cute and useful things! The 5mm graph paper is pretty versatile and suitable for pen, pencil whatever you have to hand. 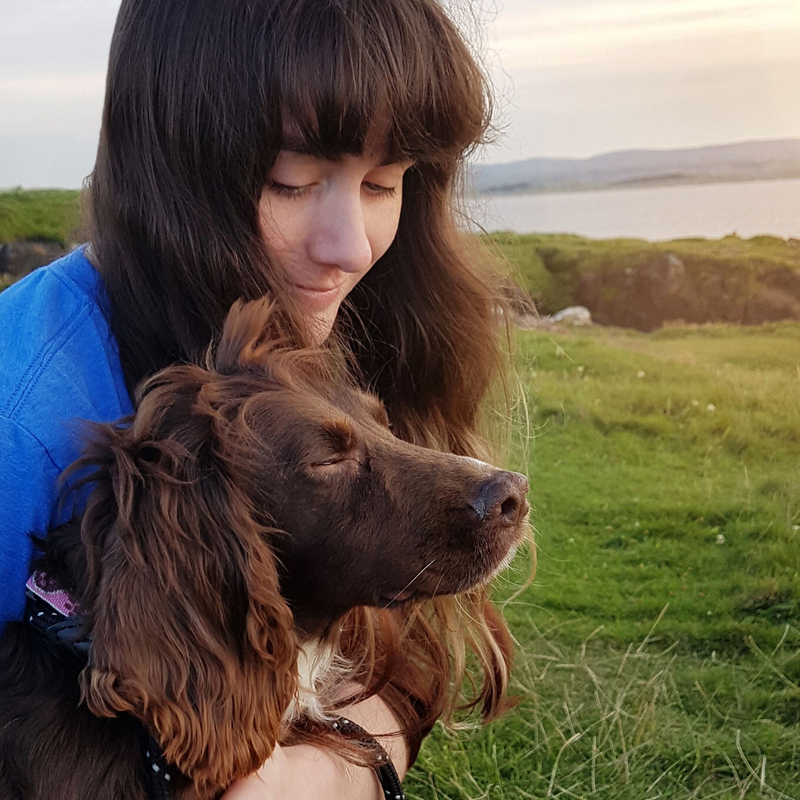 It’s the paper I’ve been using throughout this post, in case you’re wondering! 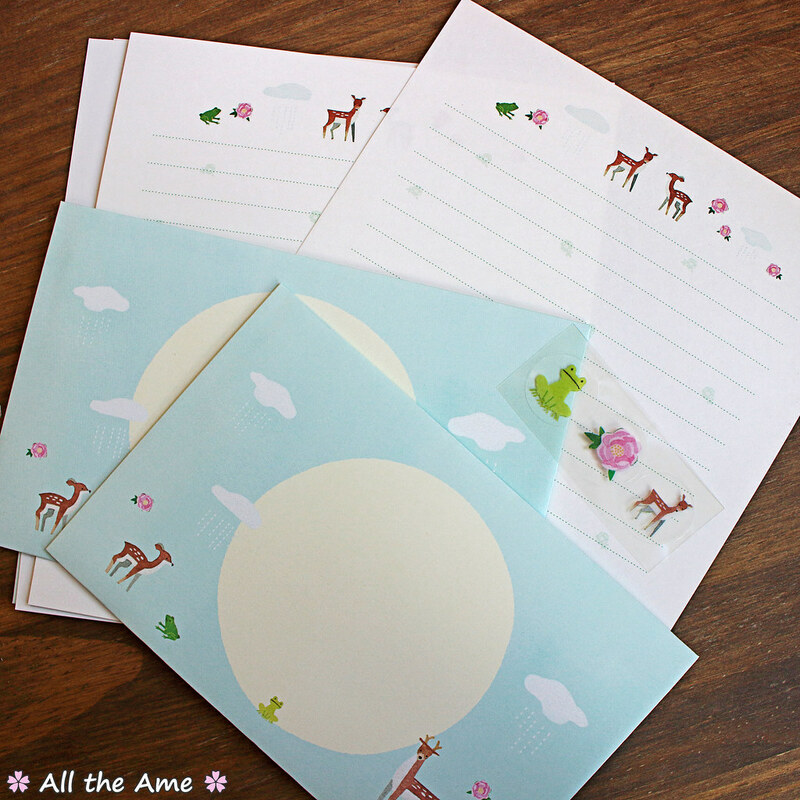 This is the one item in the pack I probably won’t get much use out of (or at least not use as intended); it’s a Spring Letter Set and it comes in one of 6 spring themed designs. In Japan each season is further divided into 6, making a total of 24 in the year, and there is a different letter set available for each of the spring seasons. I got the Kokuu (穀雨) design, Kokuu being the ‘rain for grain’ season where the spring rains necessary for a good harvest fall and the time is right to sow seeds. 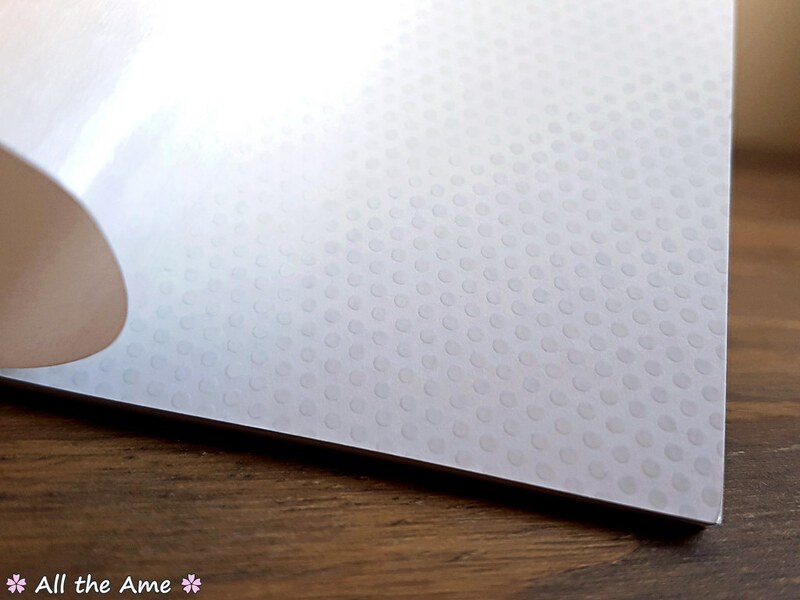 I really love the design (if you couldn’t guess from the ‘ame’ in my blog title I love rain!) and the quality is great, but I don’t tend to write letters so I’ll have to think of other ways to use this one. Shouldn’t be too hard to find a use for pretty paper! 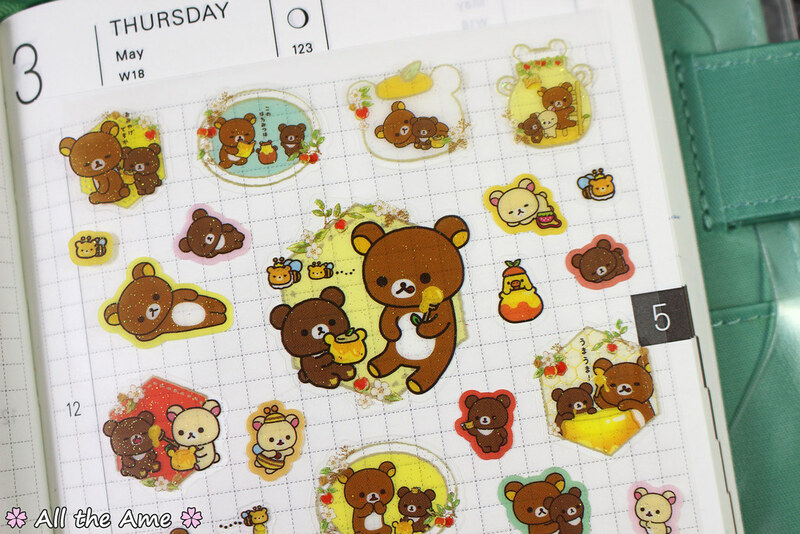 This month features a pack of Schedule Seals, useful for highlighting to-do lists or upcoming events, and a pack of Rilakkuma Stickers which have a super cute rainbow glitter through them. 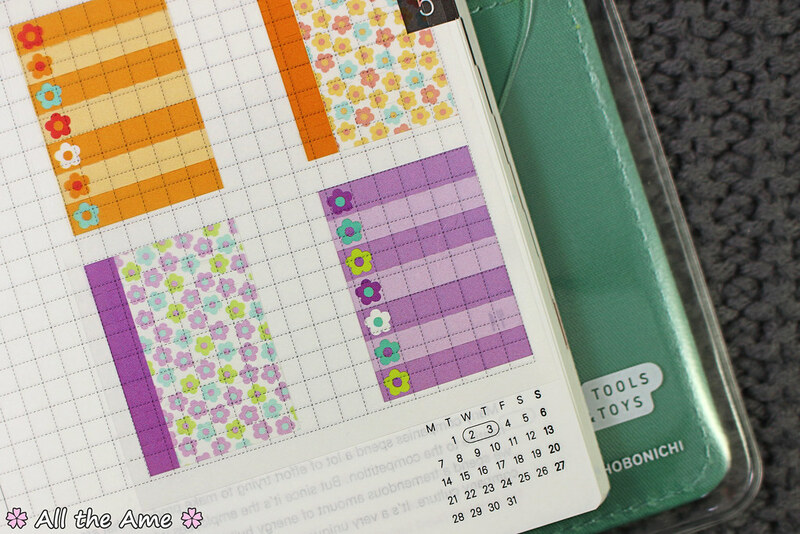 The schedule seals are really pretty, not quite the right size for the 4mm graph paper in my Hobonichi but they’ll still work. You can peel each block into 7 strips to use them one at a time or mix and match colours/patterns. It’s easy to see what you’ve written underneath and they’re certainly eye catching, I’ll be using them to highlight things I don’t want to forget. You can even reposition them if your schedule changes! If you couldn’t tell, this box has me impressed! 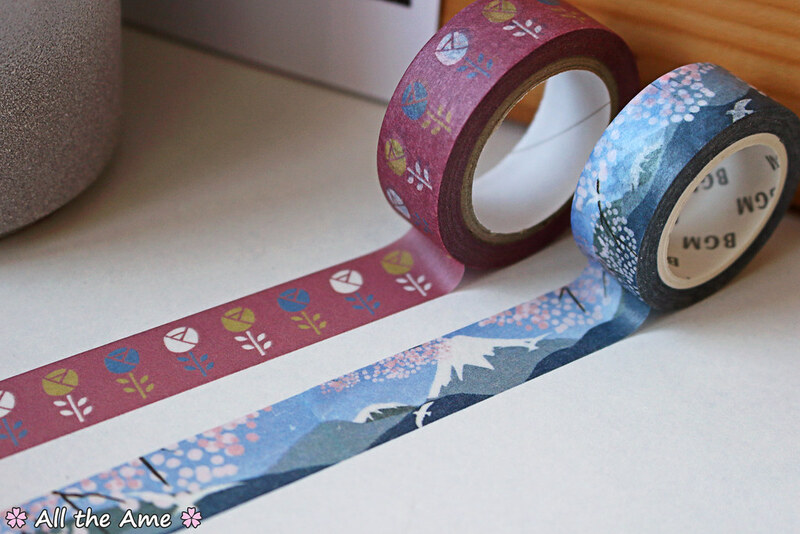 My top three favourites have to be the Hello Kitty pencil, the MONO 2way and the Mt Fuji & Sakura washi tape.